Of the three National Parks in southern Florida, the Everglades is the only one I’d heard of before beginning my park visits. It is an iconic park without any specific iconic places to go. This made planning a bit difficult. I wasn’t sure where I was going to spend my sunrises and sunsets. I spent roughly 1 1/2 days in the park. I spent the entire trip along the main park road between Flamingo and the Ernest Coe Visitor Center. I spent an unreasonable amount of time along the Anhinga Trail because (1) it is easily accessible, (2) it had the most wildlife of any place I saw in the park, and (3) it has a great combination of boardwalks and peaceful, open water for photos. My trip to the park was disrupted when I found that someone had run into my rental car in one of the parking lots. I spent time talking to my insurance company and the Park Police and not as much time as I would have liked taking photos. I still made the most of my time. I’m sure there are hundreds of great photo opportunities for those who rent a canoe or get a ride on an airboat, but I didn’t allow time for that in my trip plans. Instead, I drove the main highway through the park stopping at the main sites and occasionally at smaller pullouts to see if I could find alligators. The visitor statistics for Everglades National Park are interesting. Many of the western national parks have a normal distribution across the year, peaking in the summer months and dropping off in the winter. Given the oppressive heat and humidity in Florida, the Everglades has the opposite pattern. I went on a couple of weekdays in November. I saw some people, but not many. Most of the visitors I saw were clustered around Royal Palm and Flamingo. In between was virtually empty. I don’t remember the exact temperature from when I was in the park, but I know I spent the whole time walking around in shorts and a t-shirt. I remember because I had so many bug bites when I left. It wasn’t too hot either. I saw one fantastic sunset and some of the most amazing clouds I had seen in my life. I couldn’t have asked for better weather. I stayed one night in the Holiday Inn Express in Homestead, FL. 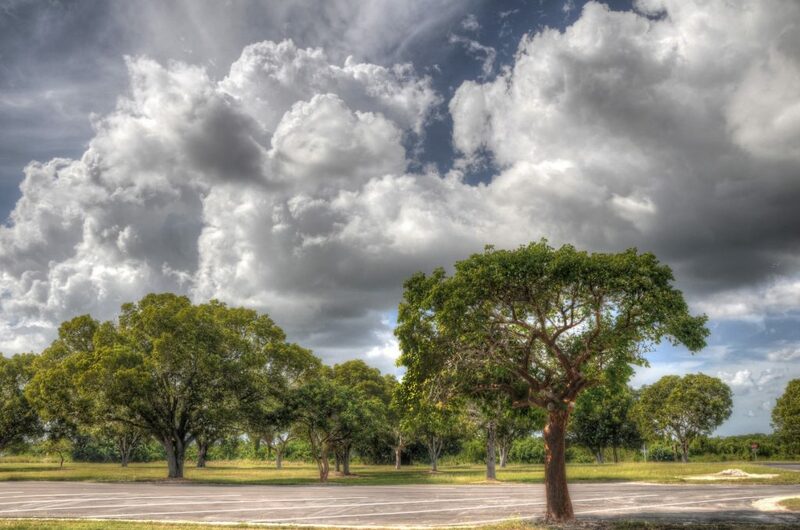 It is a roughly 25 minute drive from the Royal Palm area of the Everglades. The drive to the park isn’t terribly scenic, but it is simple and quick and that’s what I was looking for. There are a number of places I’ve traveled that I wish I could have taken my tent and camped out. This was not one of them. I was out of my car for minutes at the campground at Flamingo and was eaten alive by mosquitos. I am sure things aren’t any better (possibly even worse) at the backcountry campsites. Homestead was a great choice. As per my usual park travel experience, I purchased groceries earlier in the trip. Writing this blog post all these years later, I don’t remember where I bought them, but Homestead is a big town with plenty of options. As you will read below, my trip was dominated by a small bump my car received in a parking lot. It turns out I didn’t need to worry about it as much as I did, but my personality kept me focused on it for the two days I was in the park. I managed to get some decent photos, but I will need to make it back sometime so I can experience more of the park. I woke up before sunrise in Key West, FL and took some sunrise photos on the beach. After a leisurely breakfast, I packed up the car and started driving north. I stopped at Bahia Honda State Park and spent a couple hours walking around taking photos. I then drove to Homestead, FL and checked into my hotel in the early afternoon. It was late afternoon when I made the 20 minute drive to the Everglades. My intention was to drive the main park road and find a spot that had a nice westerly view for sunset. My first stop was at the Visitor Center right inside the east entrance to the park. Next, I stopped at the Royal Palm area; a short drive from the Visitor Center. 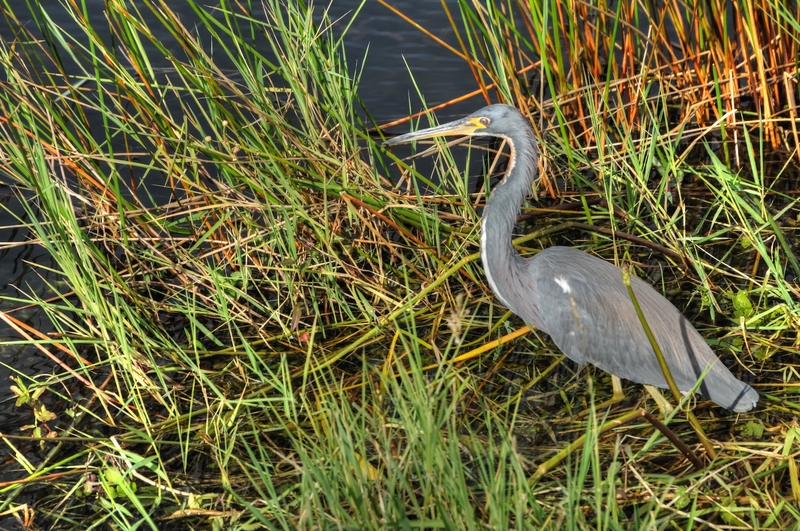 At Royal Palm, I walked the Anhinga and Gumbo Limbo Trails. Both paths are short and flat so it didn’t take much time to walk them. The Gumbo Limbo Trail is lined by trees and would be great for macro and detailed leaf photography. It is claustrophobic and there isn’t room for wide shots. 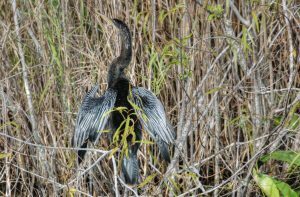 The Anhinga Trail is a series of paved paths and boardwalks through a marsh area. I instantly fell in love with it. The light wasn’t ideal so I didn’t take many photos. I did see a couple alligators but not close enough to get any good photos. As I walked back to my car, a German couple stopped me and told me that they had seen someone back into my rental car and then drive off. They were great to stick around and to provide so much detail about what had happened. They described the car and gave me a license plate number. I spent the next 1.5 hours talking to Park Police and filing a police report that I could turn into the rental company. In case you’re interested, I reported the incident to my insurance and to the rental company and then never heard anything about it. Presumably, the rental company decided the damage wasn’t worth going after. Anyways, after that wasted hour and a half, it was nearly sunset. I decided that I would just stay at Royal Palm and walked back out to the Anhinga Trail. I stuck around for another couple hours taking photos of the boardwalks and glassy water as the sun went down and then headed back to my hotel. The photos that I got there were some of my favorites from my weeklong trip to Florida; including the one above. My plan, before taking the trip, had been to drive the main park road on Day 1 and then head to Shark Valley on Day 2. Those plans were disrupted by the minor accident, so I skipped Shark Valley and spent Day 2 driving the main park road. That morning, I decided that it would be more worthwhile to discuss the previous day’s accident with my insurance company than to get sunrise photos. I hung out around my hotel room until about 9:30 before finally heading back into the park. I drove past Royal Palm since I had spent so much time there the night before. 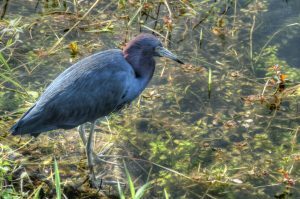 I stopped at each of the main stopping points along the road; Pa-hay-okee Overlook, Mahogany Hammock, Nine Mile Pond, West Lake, and at the Flamingo Visitor Center at the end of the road. All of these points are included on the map above. For the most part, these stops consist of a parking lot, a short path, and a boardwalk. Flamingo is built up and has stores, boat launches, and campgrounds, but none of that was very picturesque. I did take the photo to the left in the parking lot at Flamingo; mainly because I wanted a record of how beautiful the clouds were. Otherwise, I didn’t take any photos that I was particularly happy about. There just weren’t many great foregrounds. Along the road, I also stopped wherever there was a turnout and an open spot of water near the road. I wanted to find alligators. I did see a couple small ones (about 2 feet long), but no large ones. The baby alligators were mostly tucked into reeds along the sides of small ponds. One was sunning itself on a concrete boat launch. I got as close as I dared, within about 10 yards. I wasn’t so worried about the small alligators, I was more pre-occupied with scanning the murky water they were lying next to in case a mother alligator was waiting to jump out. I chatted with a park ranger who assured me that alligators are not like bears in terms of protecting their young. That helped me rest a bit easier. I finally got stir crazy and decided to head to Miami, where I was supposed to meet up with some friends. On the way out of the park, I stopped at Royal Palm again and walked the boardwalks of the Anhinga Trail. At this time in the early afternoon, I saw more wildlife than I had the previous day. There was a full-size alligator near one of the boardwalks and a number of colorful birds that stood still enough for me to take some HDR photos. I found it very helpful to have a circular polarizer on my camera. When I go back to the Everglades, I will definitely get off the beaten path. I traveled the main roads and saw some amazing things, but I feel like there were a lot of things I missed; mangrove and cypress lined paths of water for one. Also, I had planned on visiting Shark Valley and either walking or biking the path to the observation platform at the end. Next time, I will give myself 3 or 4 days so I can experience more of the park. This is a tough section to write for the Everglades because, as I mentioned in the introduction, there wasn’t any specific, iconic spot that captured my imagination before going. 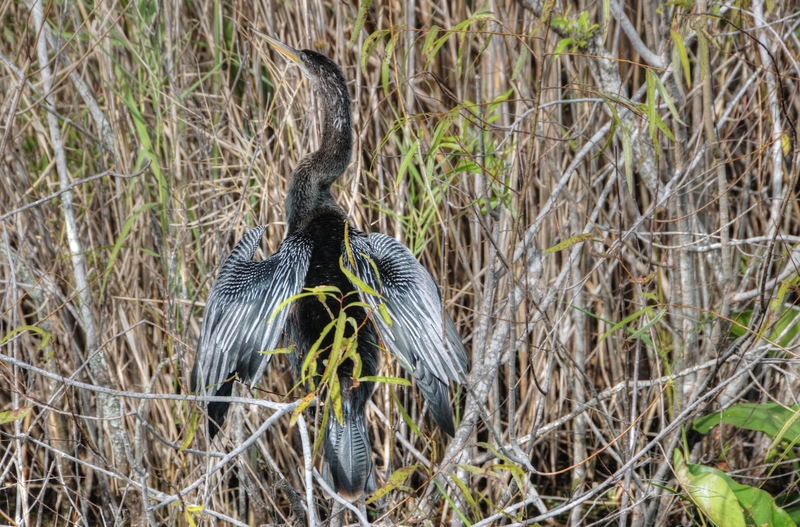 When I arrived in the park, my immediate favorite place was the Anhinga Trail at Royal Palm. If I could only go one place in the Everglades, that would be it. And that’s why I spent so much of my time there. A recurring theme throughout my photography is the inclusion of roads, paths, and boardwalks. I find that they help connect the man-made elements with the natural ones and give a feel for what it’s like to be in the park. The Anhinga Trail is made up mostly of boardwalks, so it fit my photographic interests nicely. 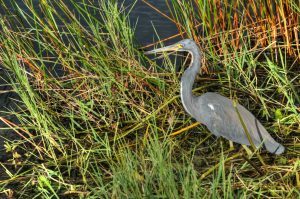 Everglades National Park on NPS.gov – You can get information straight from the people who know best. 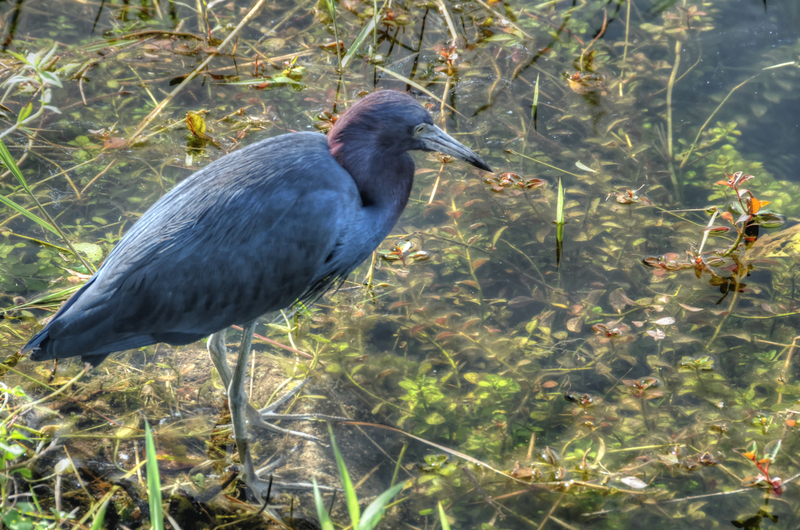 My Everglades National Park Gallery on Flickr – A collection of my photos from this trip on Flickr. My South Florida Pinterest Board – My collection of other people’s photography from this park.